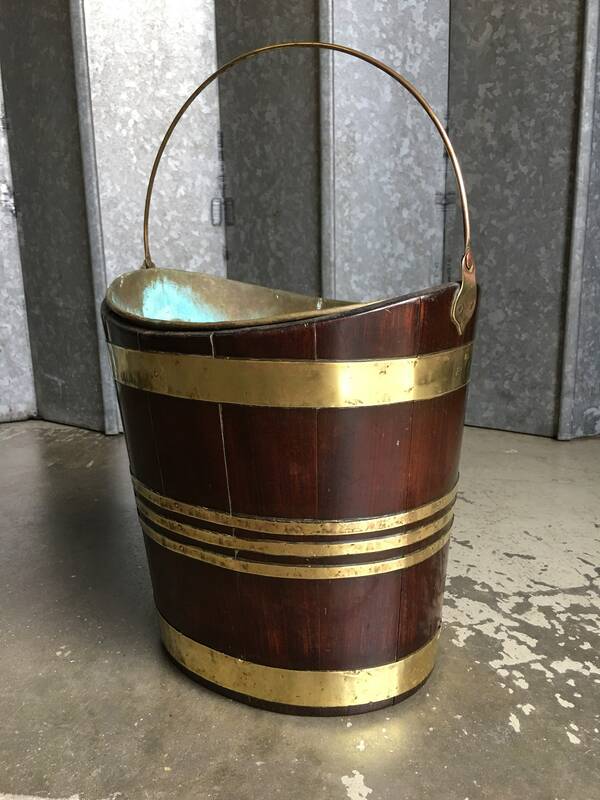 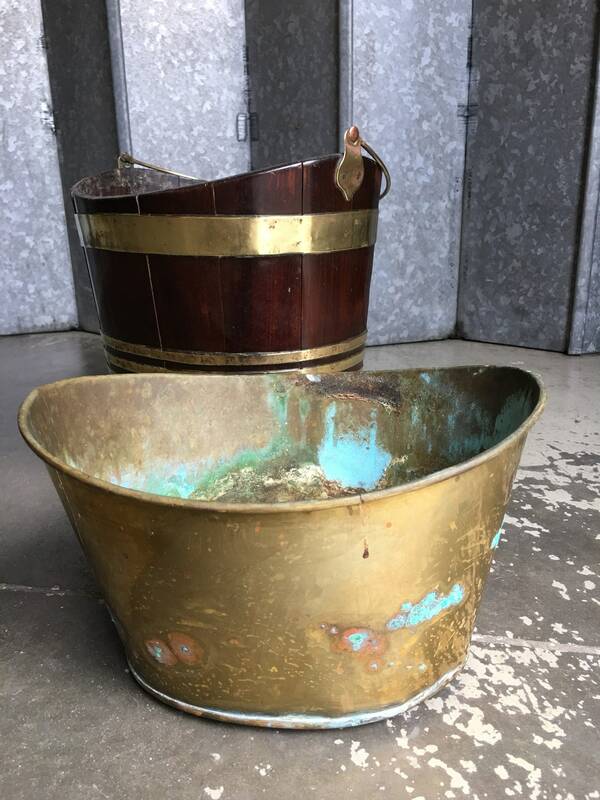 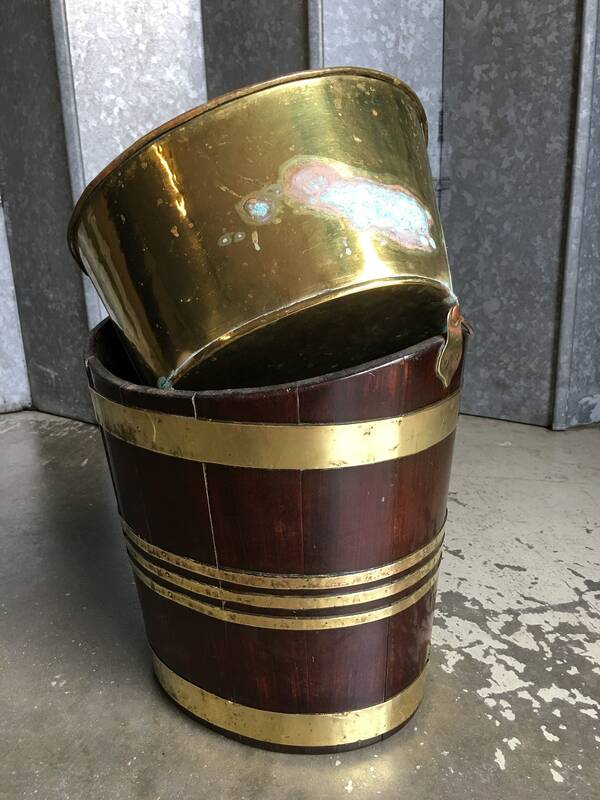 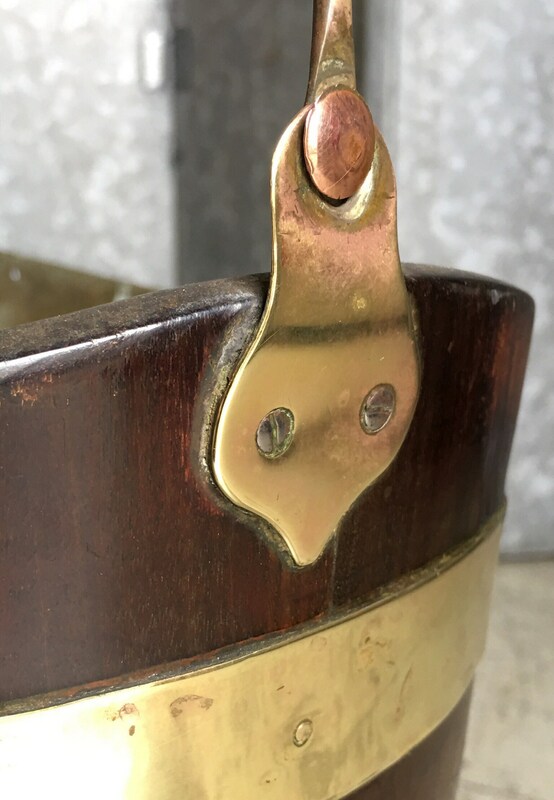 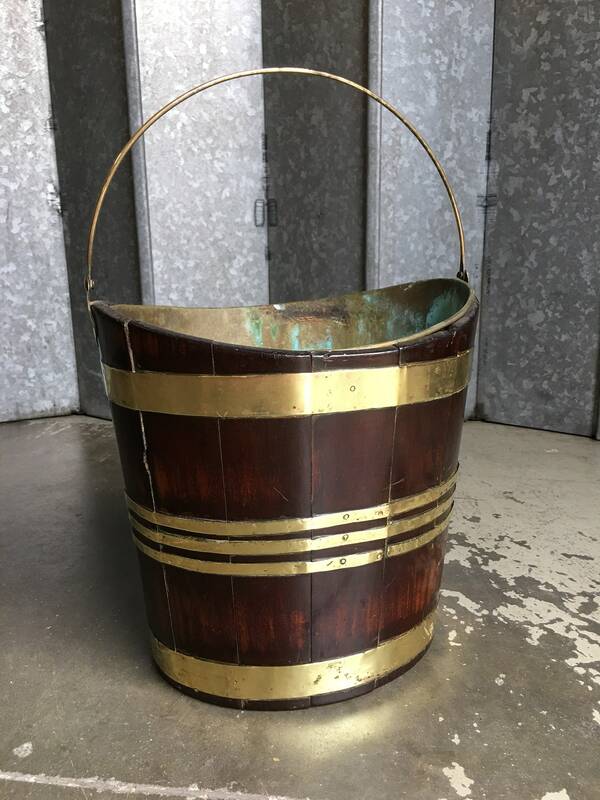 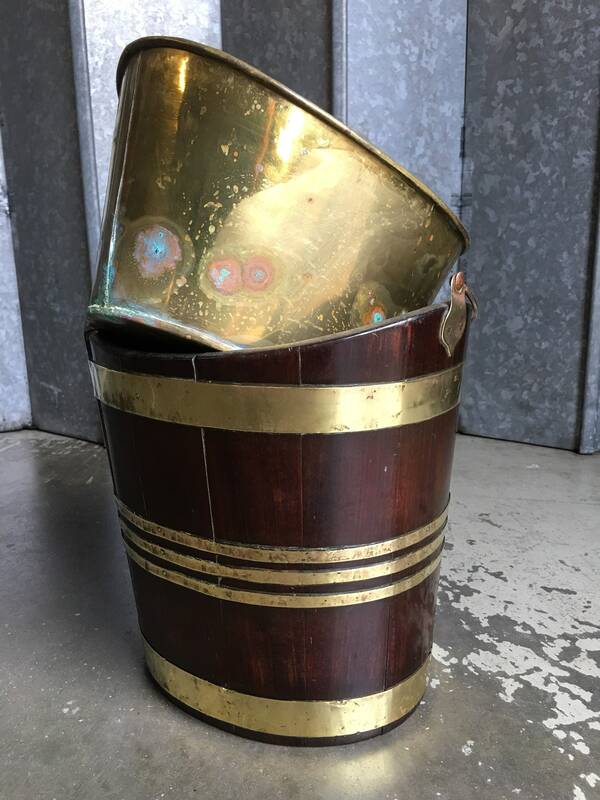 George lll period mahogany coopered peat bucket with original brass insert with verdigris patina. 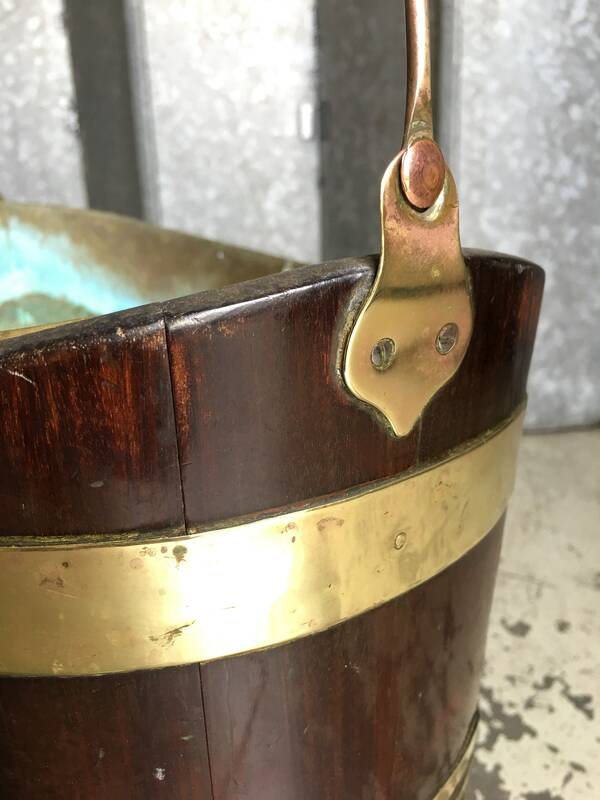 Minimal restoration in original condition. 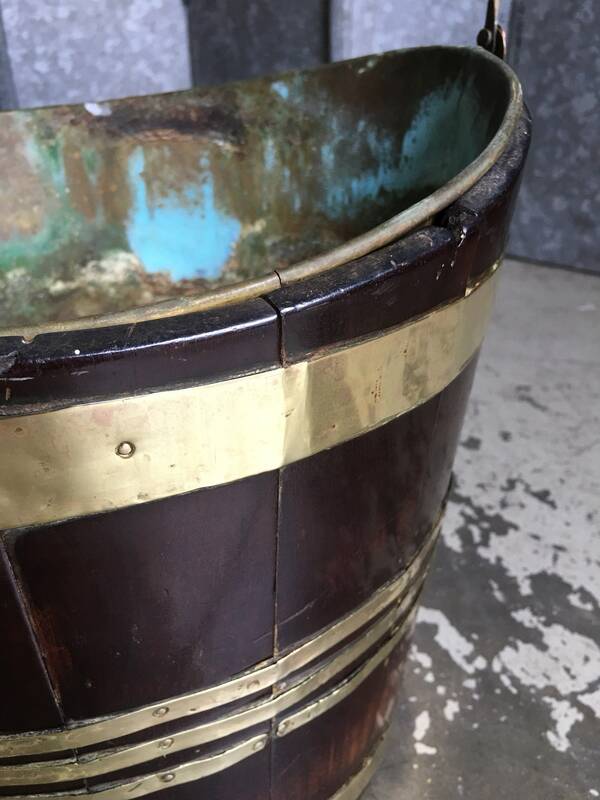 The brass insert has wonderful verdigris patination.